Next week Salesforce’ World Tour stops in New York. 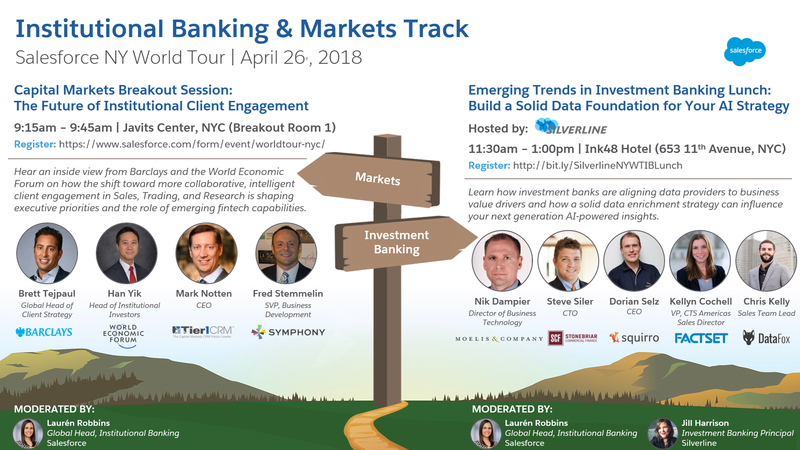 Our friends over at Salesforce and Silverline organize a track on Institutional Banking & Markets. Come an join us!